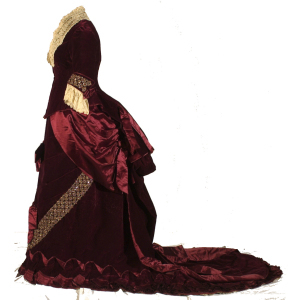 I have had a role in managing this research collection of historic clothing since 1991. Working with students and other faculty, I have maintained (and improved) the storage and documentation of this collection of 19th-20th century clothing, housed in the Drama Department. 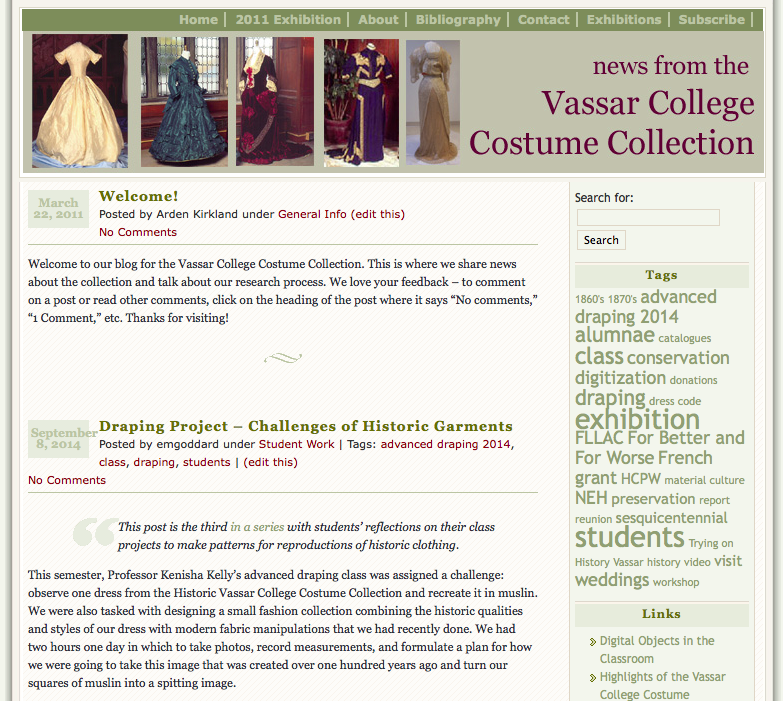 Since January of 2010, we have shared our work with this collection through a WordPress blog, at http://pages.vassar.edu/vccc. This work has included extensive documentation (using several different platforms over time), re-housing the artifacts for improved storage conditions, sharing items from the collection with multiple Vassar classes over the years, and showcasing objects in several thematic exhibitions.